Judge a book by its cover! 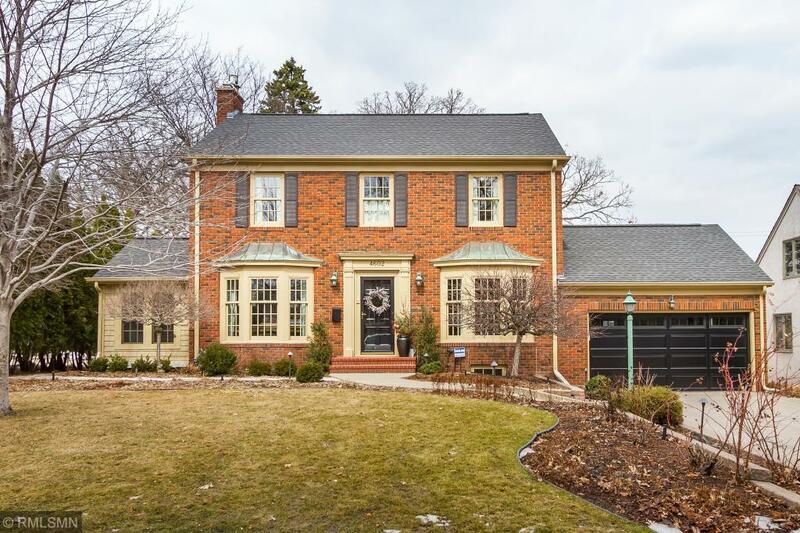 Backing up to Edina Country Club, this classic beauty in coveted Golf Terrace Heights is just as amazing on the inside as it appears on the out! This stunning brick colonial has all the traditional features & spaces you would expect while seamlessly blending modern amenities. Main floor spaces for all such as formal living, sunroom, office, formal dining, butlers pantry, mud room, & hearth room open to the kitchen. Look out the windows right at the 17th & 18th holes of Edina Country Club! Fret not, they have never had a stray ball in the yard. Enjoy the view from the backyard or the sunroom. Spend the day on the course & come back to relax in your steam shower then grab a glass of wine from your wine cellar! Loads of owner upgrades, including master suite, custom landscaping, vertical burning fireplace to name a few! Do you like to host? This house is ideal for hosting with your view, open kitchen, & wine cellar. This home is a must see!